Playing the piano or keyboard doesn’t look that hard. Some people even think that the two YouTube videos they found when googling “how to play keyboard?” will teach them everything. The truth is a little harsher. It takes a lot of work and a fair number of hours even to start playing simple melodies. But c’mon, it’s definitely worth it! Honestly, there is a very high chance you can become good at playing a keyboard. How? Unfortunately, there is no magic pill. Of course, there are some shortcuts you can take. There is a course called PianoForAll, which includes a lot of step-by-step lessons, 200+ videos, and nine interactive books all-in-one. Moreover, it has online access and can be used on any device. For the price, the best deal you can get. You know what? Just take a look for yourself at PianoForAll website. Anyways, let’s get to the guide. We’ll go over the fundamentals which you can build upon to play the keyboard professionally afterwards. With enough practice, playing your favorite songs for your friends or at a local bar won’t be anything out of your league anymore. Let’s begin. You know how bodybuilders have to keep their body at a specific position when doing squats or bench pressing, so they won’t pull a muscle and don’t damage anything. Well, piano and keyboard players have a few techniques as well. 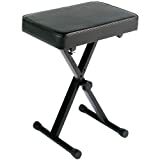 You’ve probably seen a piano player sitting on the little chair with no back support. Well, that’s a keyboard bench. Well, it’s not a must-have. However, the lack of back support and the ability to adjust the height of the bench will help you with good posture and prevent back pain. You can find one at your local furniture store or on Amazon, like the one below. If you don’t really feel like buying a keyboard bench right now, try finding a short bench or stool to use as an alternative. This is simple. You need to have your knees tucked under the keyboard slightly and your feet flat on the floor. If you have a keyboard bench, it’s very easy to adjust it properly. Your palms should be hanging off the keyboard while your fingers are on the white keys. Your hands should be relaxed, and fingers curved slightly downwards. If you look from the side, your hands will resemble the letter “C.” Another good practice is keeping your elbows on the same level as your keyboard in order to remove some stress off your wrists. Maintaining good posture is essential when playing the keyboard. Try being as relaxed as possible. Being tense when playing is the worst thing you can do. Shoot forward in your seat, so you are as close to the keyboard as possible. Try using just the front half of the keyboard bench. A little trick here. Take a deep breath and lift your shoulders up. When exhaling, let your shoulders fall back in place. This will help you to keep the right posture. If you haven’t studied music theory before, it’s going to be a little challenge for you. If you’ve played another instrument, it will be easier, but there are still many things to learn. Let’s give it a shot, shall we? It doesn’t matter if you are playing the guitar or piano, the music alphabet stays the same. There are seven letters which are A, B, C, D, E, F, and G. On a guitar that would be different strings. In our case, we have keys. These notes are in order, from left to write, and they are the white keys on the keyboard. Every seven notes is a different scale. This means that after the letter G, it starts all over again with an A. If you are a beginner, buy keyboard stickers. You don’t stress out for no reason trying to find the right notes while your hands are getting used to the keyboard. The stickers are cheap and last a while if you are careful, so definitely something to consider. There is also another way to find a key. Look for a group of three black keys. The A key would be the one in between the second and the third black keys. Pretty simple when you get used to it but incredibly frustrating in the beginning. There are three different types of notes. They are whole, half, and quarter notes. These notes are not only different on sheet music but also are played differently. Whole notes are notated as empty circles and played for four beats. Half notes are only played for two and notated as empty circles with arms stretching upwards. As you could’ve guessed already, quarter notes are played for one beat and notate as filled-in circles with arms stretching upwards. Depending on at how many BPM (beats per minute) the song is, these notes will be played accordingly. It’s easy to follow the drums when playing a popular song on the keyboard. Most people already have an understanding of what scales are. Basically, keyboard scales are simply groups of notes played together. Nothing complicated. C Major scale tends to be the most common and popular when learning how to play the keyboard. To play this major scale, start from the C note, then D, E, F, and so on. All the way until the next C. That’s it. You’ve just played the C Major scale. Look at you! What is a chord? It’s a group of notes that are being played simultaneously. Some chords are common and easy to play. Others are not as popular and are not as commercial. Anyways, practicing the C chord will help you understand how chords work. It’s a basic three-note chord, so that should be easy for you. Start by placing your thumb on the C note, the middle finger on E, and your pinky on G. Press them down simultaneously, and voila, you’ve just played your first chord. The previous chord has been played with your right hand. Now let’s practice playing the F chord with your left hand. It’s another easy chord with just three notes. Note that we are not playing the bass notes yet. Usually, we would play the chord with our right hand and the bass note of that chord with our left hand. Anyways, don’t worry about it just yet. Place your pinky on the F note, your middle finger on the A note, and your thumb on the C note. Press down on all three simultaneously. You’ve just played the F chord with your left hand. That wasn’t hard, was it? Even if you were to read ten books on how to play piano, you would not become any better without sufficient practice. Your best bet would be dedicated some time daily to start building your skills. It could be as little as half an hour, but you have to make it a habit. Start from memorizing the notes positioning, and learning new chords. Of course, it would be beneficial also to hire an instructor, but that’s pricey. You can check out some YouTube tutorials, or the PianoForAll course that I’ve talked about earlier. It costs as little as an hour with a professional but includes hours and hours of theory and practice. This is a little more advanced, but you have to learn this at some point. In a lot of music schools, they make you study all theory before you even get to practice. It may not make any sense at first glace. If you practice and read enough, it won’t be any harder for you to read sheet music than reading this blog post. It’s a worthy investment of your time. Try the easy songs like “Waltz from Sleeping Beauty” by Tchaikovsky, for example. Most keyboards have a few buttons, knobs, and switches to tweak their settings. Besides the sound effects, some have a bunch of built-in instruments. It’s not something you necessarily need, but it’s fun to switch in between “piano” and “organ” settings, for example, just to see how the same chords would sound of different instruments. Moreover, some older songs have been initially played on the organ, so you can get the “real” sound by switching from piano to organ by pressing one button. Pretty impressive, isn’t it? Okay, you can’t start writing music right away. First, you have to understand what scales, notes, and chords are, and how musical notation work. Once you have a good understanding of everything above, you can start writing. Don’t try to write anything complex. Simple melodies tend to be the catchiest and are loved the most. Moreover, if you write a song that you can’t play properly, then what’s the point of writing one in the first place? Do something at your current skill level. It’s also going to be a lot more fun to play something you’ve written as opposed to a song everyone knows how to play. Start experimenting with a few notes and chords. Google interesting chord progressions that you can use. Try as many things as you can, and you’ll be able to find something that you like. These are only the fundamental that you should build upon. Playing the keyboard is not an easy thing to learn, but it’s worth it. Instead of spending time watching Netflix, you can master another skill. As I said earlier, a lot of people want to impress their friends and family and make some extra cash. If you start writing music and making songs, you can potentially turn your entire life around by making more than you would be working Monday to Friday. 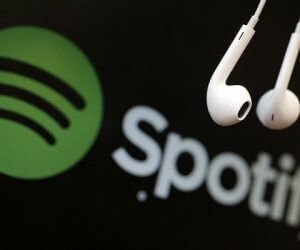 There are a lot of ways to promote your music. However, that’s not a part of today’s topic. Don’t forget to check out the PianoForAll course I talked about, as it will accelerate your progress drastically. Check out the video of a free sample lesson below.